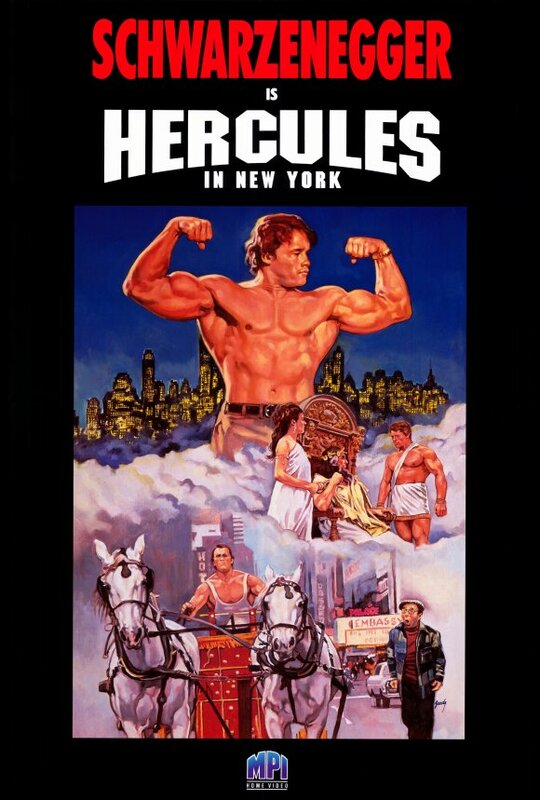 Brief Synopsis – Wanting to prove his prowess, Hercules convinces his father Zeus to allow him to visit the mortal world and is sent to New York. My Take on it – In my attempt to watch all of Arnold Schwarzenegger’s film’s, I felt compelled to watch this one even though I knew if would be terrible. This is a film that doesn’t work on any level and is quite silly no matter how one looks at it. The story makes absolutely no sense and the dialogue is laughable the entire time. The fact that this was Arnie’s first film role and that no one knew that he would become a star one day, they dubbed his lines due to his thick Austrian accent which makes the film feel even worse (if that’s even possible). This film is a complete waste of time because nothing really happens. This is only worth watching for the fact that Arnie is in it despite that it’s one of his worst film roles of his career. Bottom Line – terrible film that doesn’t work on any level. The entire story is so silly and makes so little sense. This was Schwarzenegger’s first film role and due to his thick accent, his lines are dubbed which makes the film seem even worse (if that’s possible). Nothing interesting happens here and this is just a real waste of time.